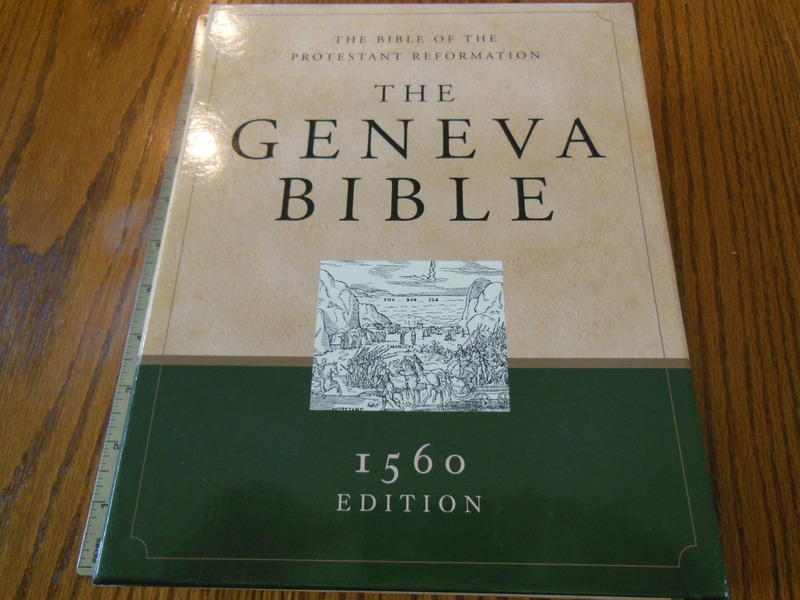 Review of the 1560 Edition Geneva Bible in Genuine Black Leather from Hendrickson Bibles. 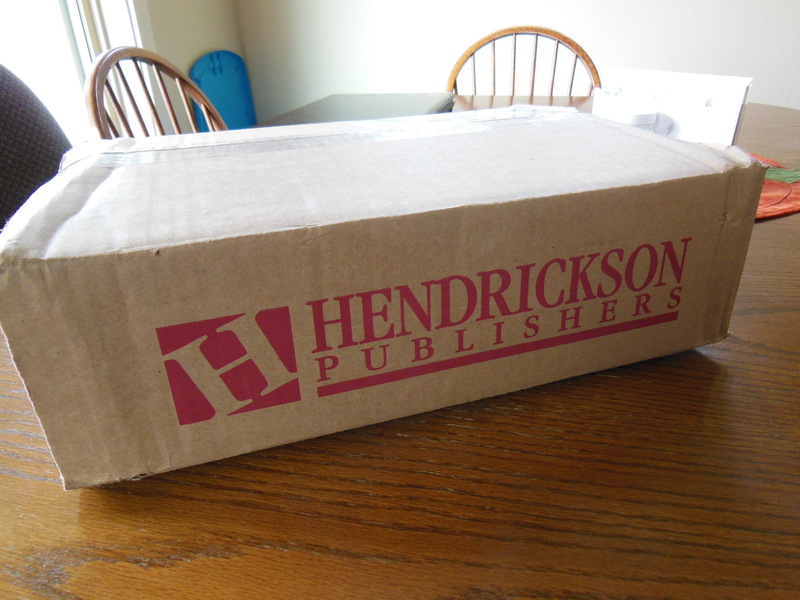 I requested this Bible from Hendrickson for review on my blog not knowing if they would send one or not. I had never done any reviews for them as of yet. I am happy to say that they sent me one without any begging or reminding. 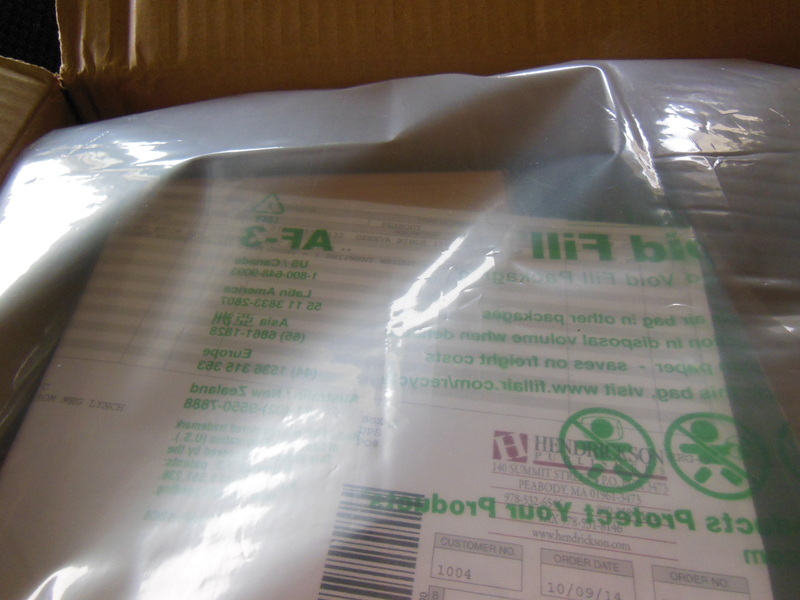 The Bible arrived packed in a cardboard box with an airbag cushion. Upon opening the box I found that it was in a two piece retail box. 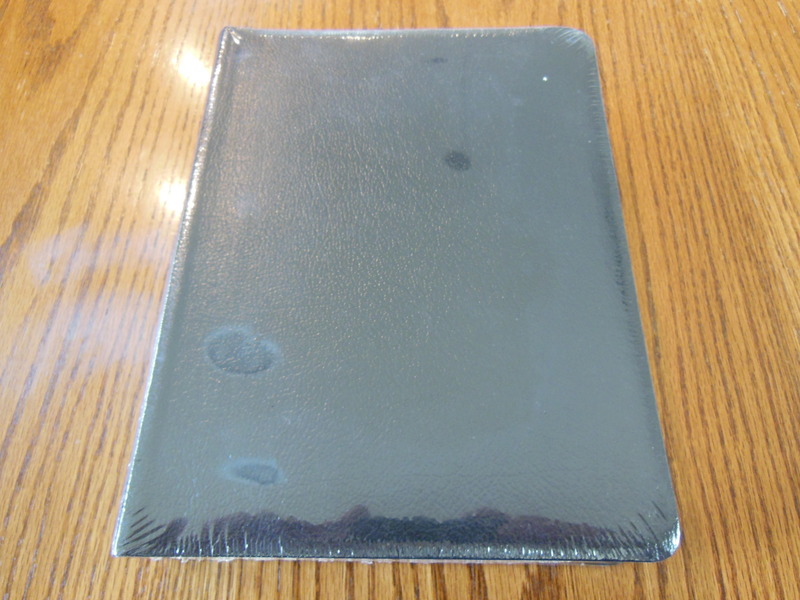 Inside it the Bible was wrapped in shrink wrap. 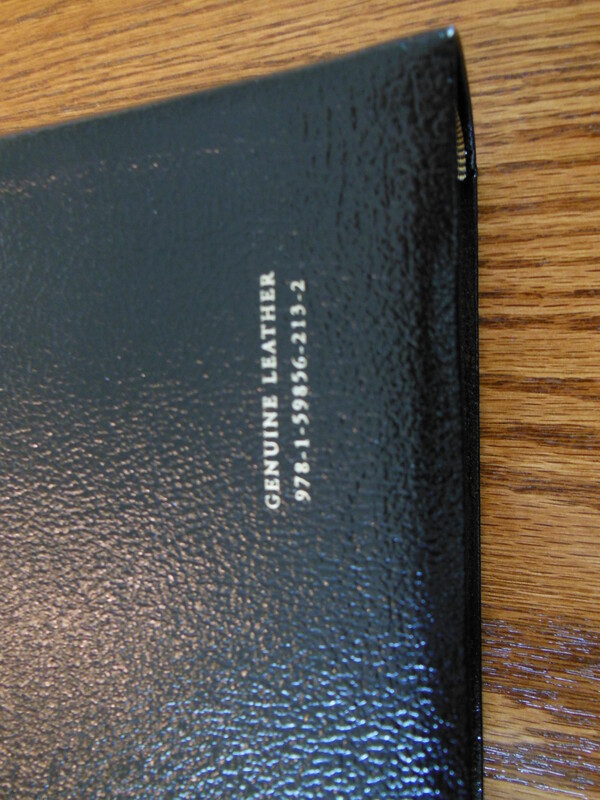 The genuine leather cover was pretty stiff. After picking this Bible up I could understand why that was so. This is a monster of a Bible. It is large to say the least. 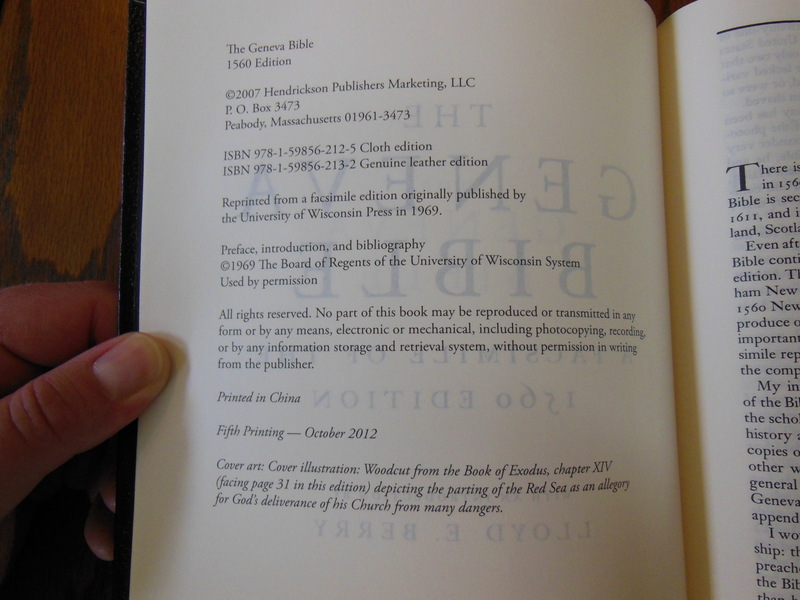 The inside cover is paper lined with vinyl glued to the cover. 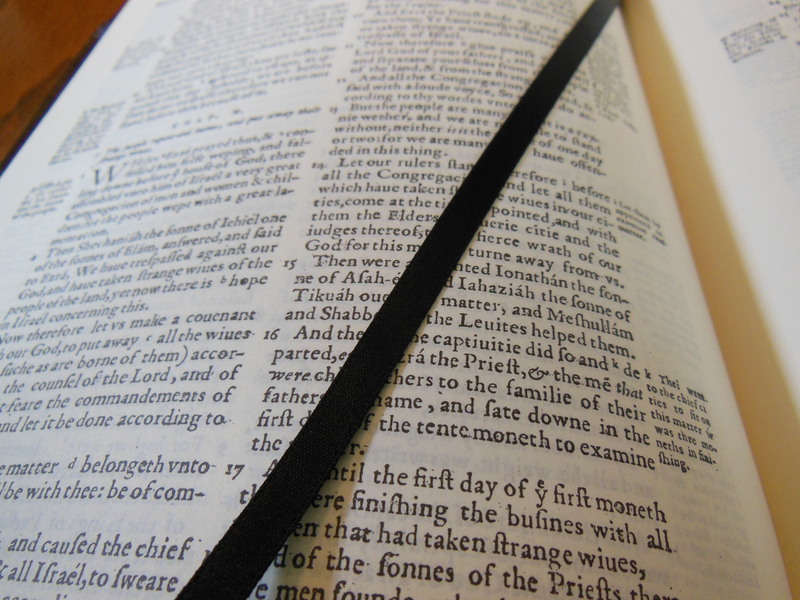 The Bible has one ribbon marker of mediocre quality. The Bible was printed in China. The page edges are gold gilt as well as the spine. 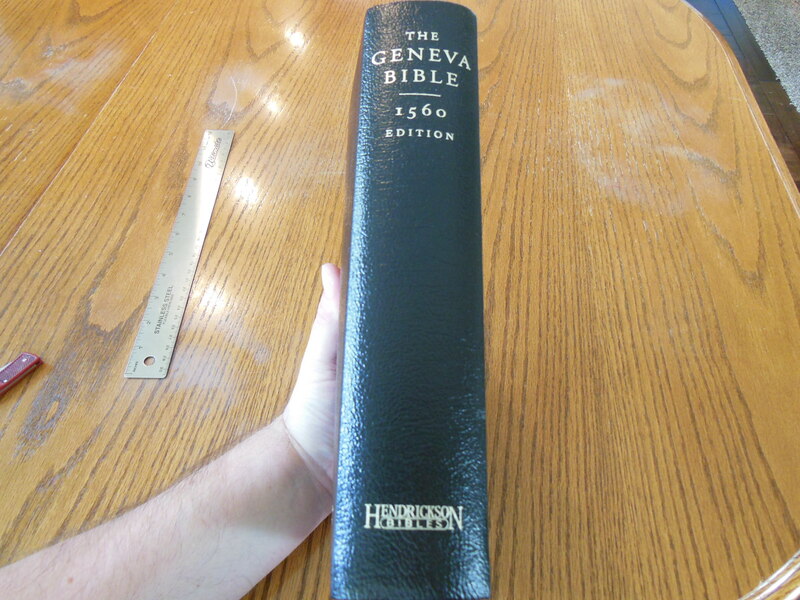 The spine has the words, “The Geneva Bible 1560 Edition Hendrickson Bibles” on it. 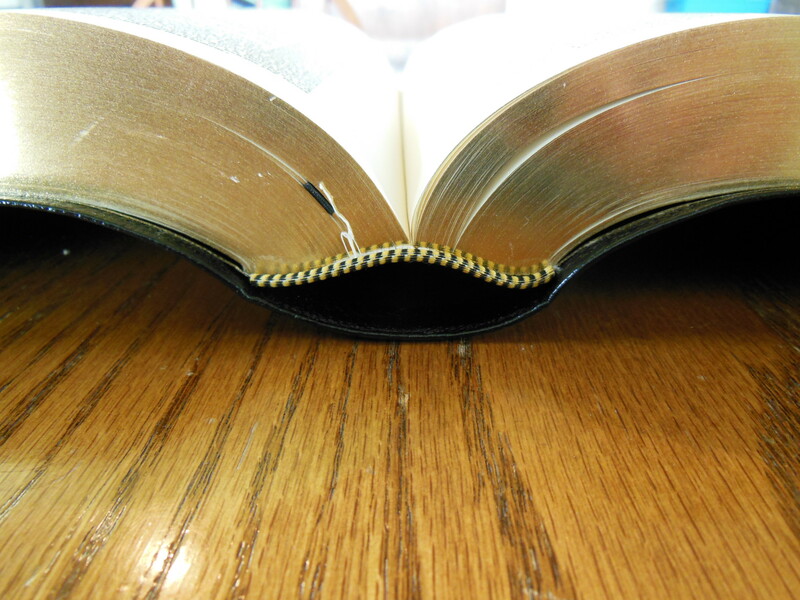 This Bible has a sewn binding which is quite flexible for a Bible this size. 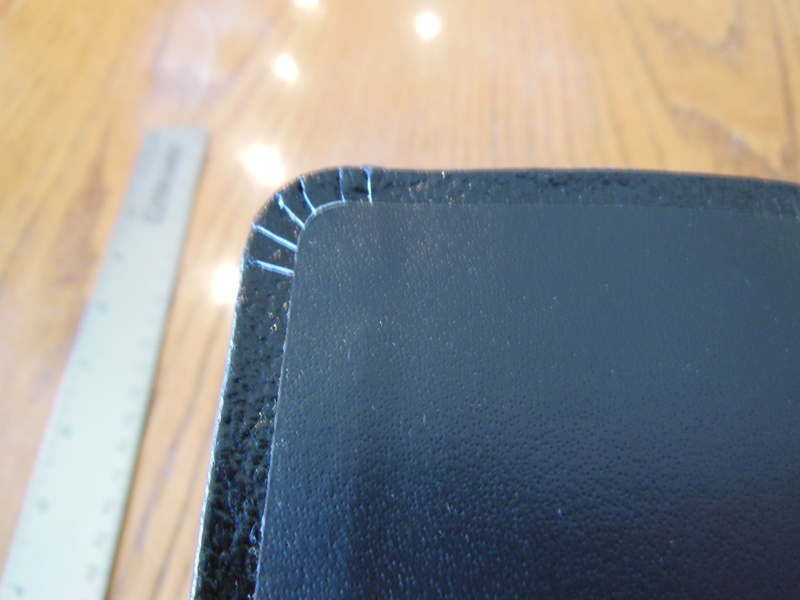 The sewn binding allows it to lay flat brand new, out of the box. The paper is good and opaque. It has to be for the small size of the original print. 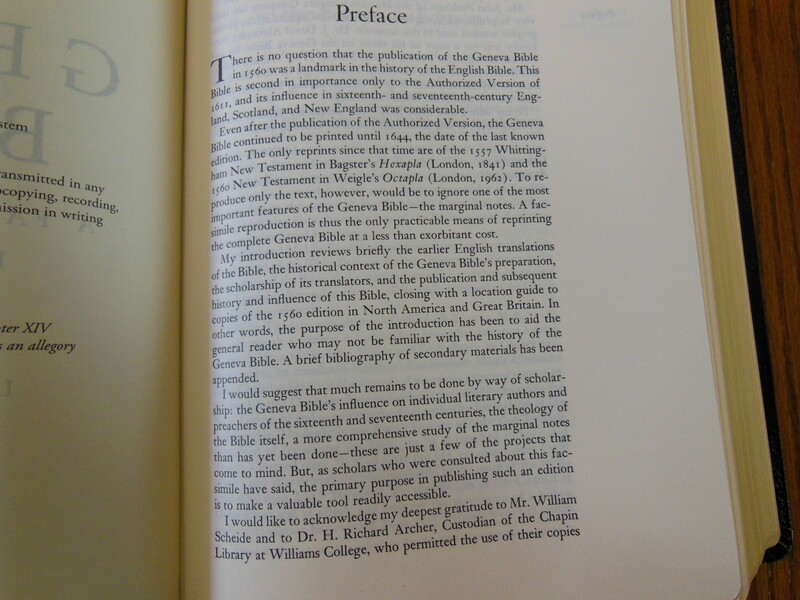 Of course the most important feature of this Bible and most likely the reason you are considering buying it is that it is a facsimile Bible of the 1560 Geneva Bible translated by the Reformers Calvin, and Knox and cherished by the Puritans. It is the Bible that predates the King James and was brought to America by the Puritans on their quest for religious freedom and to glorify God. 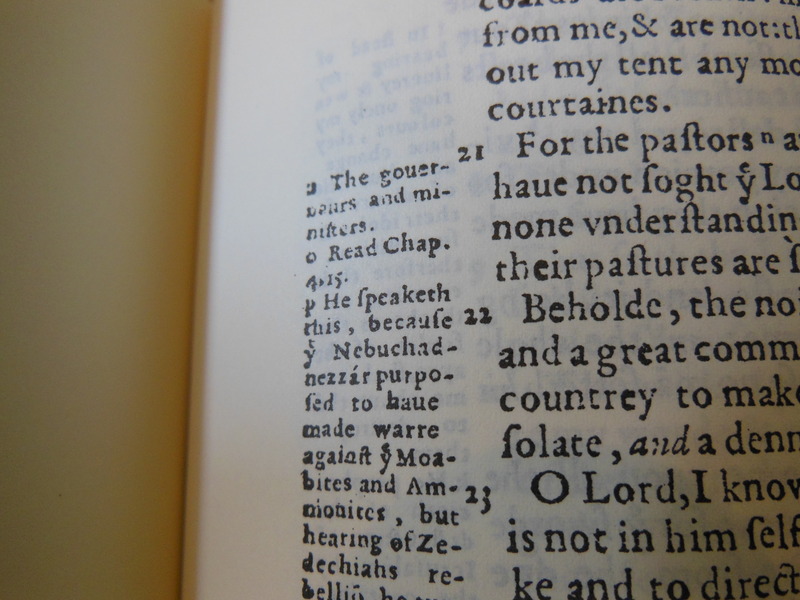 The makers of this facsimile scanned existing copies of the 1560 Geneva Bible and cleaned it up as best they could before printing it on good paper and binding it together. 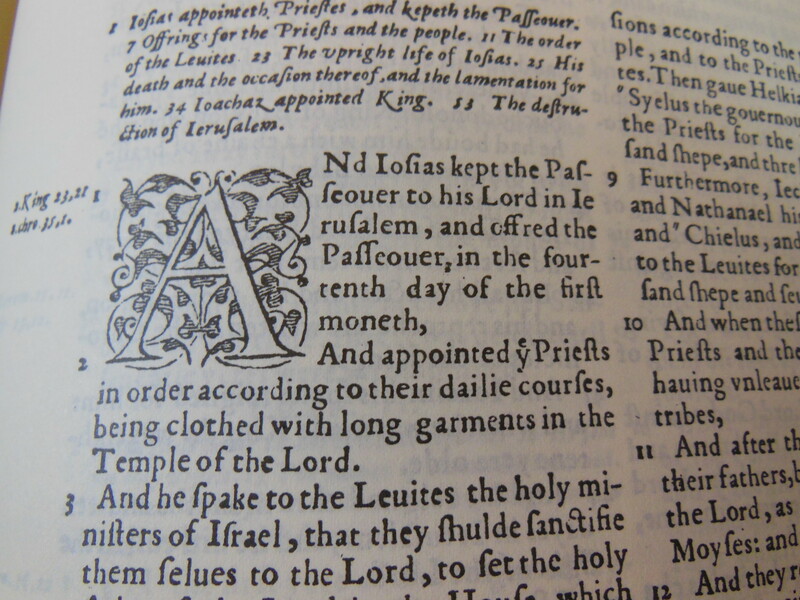 The old print can be difficult to read as it is small and not up to modern standards. The notes and references are great! I love being able to peak back into history and see what they thought was important to note during the Reformation. You should get this and read what they said about Rome 🙂 ahem… That is why they were hiding in Geneva. 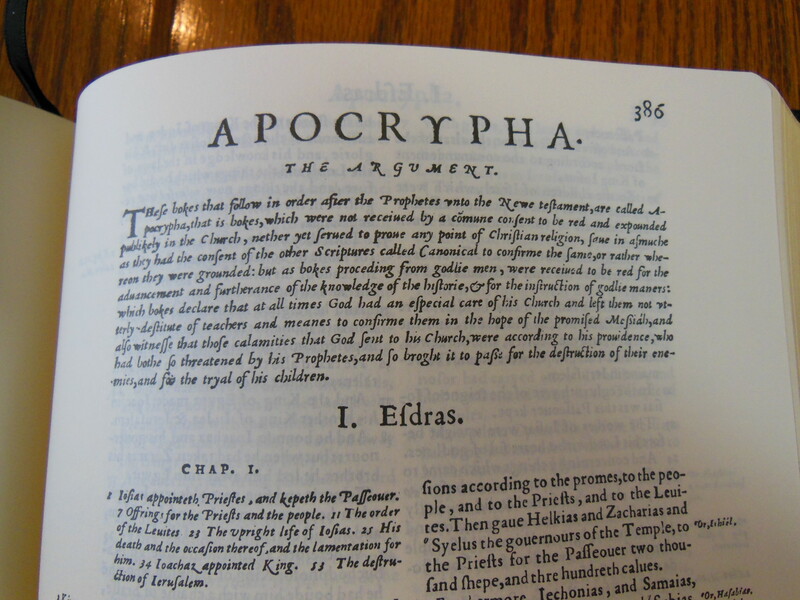 It also includes the Apocrypha. The book introductions are full of history. The chapter numbers are Roman numerals. The letters are early modern English. “v” for “u” and “f” for “s” and the like. It can be a bit difficult to use as an everyday Bible, but as a study in history and for comparison to modern translations it is a great tool. 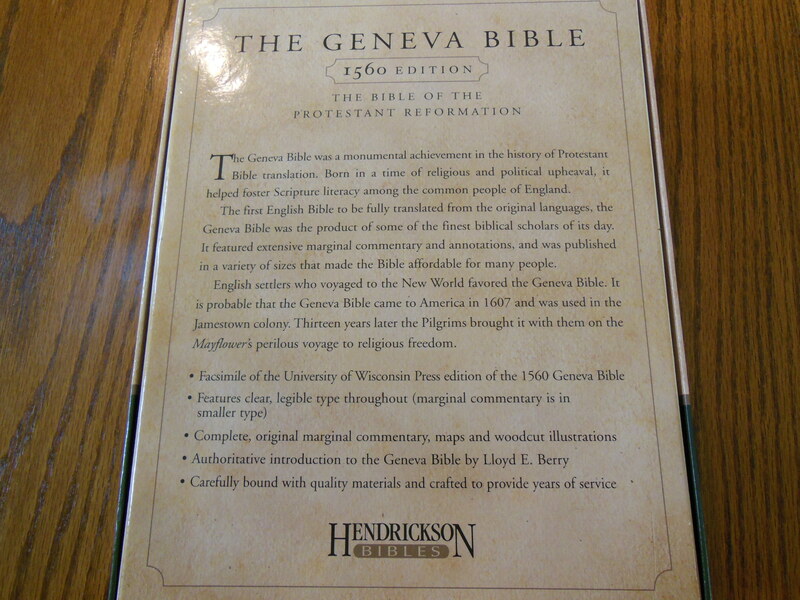 Especially good for when someone repeats the liberal mantra of, “The Bible is so messed up from being translated a gazillion times…” Just whip out your handy Geneva and show ’em who’s boss! Enjoy the pics at the bottom of the page and if yov haue any qvestiones be ye not afraid to comment on the article. I received this free of charge for the purpose of writing a review. I am not obligated to write a positive product review. Review of the Holman, New King James Version, (NKJV) Large Print, Personal Size, Reference Bible, in Brown Genuine Cowhide, Indexed, Red Letter Edition.